After putting on a primer, I applied the shimmery white around my inner corner. I used the shimmery green all over my lid, and smudged it on my lower lashline. Using a small brush, I applied matte black in my outer corner, and the outer part of my lower lashline. I used the matte warm brown as a blending shade just above my crease. The matte cream is my highlight under the brows. As for other products, I used the liquid pen side of my NYX Two Timer eyeliner on my upper lashline (review here), and I used my Em Cosmetics Waterliner in Black Night on my inner rim. I'm also trying out the new L'oreal Miss Magna mascara, so I have that on my upper and lower lashes. For blush I'm wearing Down Boy from The Balm, and on my lips is Maybelline Color Whisper in Coral Ambition, with a little bit of NYX Lip Pencil in Mahogany. Hope you enjoy this look! :) I was pretty pleased with the pigmentation of these BH shadows on my eyes, and I'm excited to test out some more color combinations in the future. Contacts are a pain today... I think it's glasses time. Seems like all the big song & dance shows are wrapping up! Any guesses about who will win American Idol tonight? They're both so talented, but I'm thinking Caleb might take it. Today I'm 23 weeks pregnant! Baby is the size of a grapefruit!! I'll be working on our next vlog at some point soon! green is my go to color for eyeshadow! 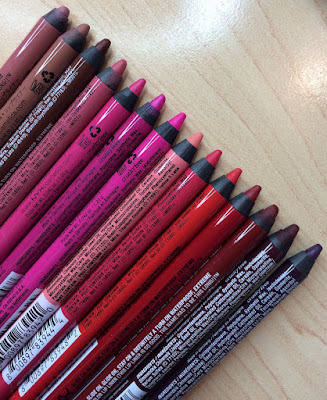 I love Urban Decay's Mildew (pencil and shadow) and Stash (pencil and shadow), as well as the greens from Bare Minerals in The Scenic Route duo and in The Rare Find quad. Was this the same look you were wearing in the brow pow video? I thought that was using the romantic eye palette but your shirt looks the same. LOVE this look!! yep it was this palette! :) thank you! The result is beautiful! Green suits you so much, unfortunatly it won't work on me :/ But the palette looks really graet. Oh, and I really liked the blush too! Do you think this look could be recreated using the Comfort Zone palette from Wet N Wild? Definitely! You could use the dark brown in place of the black and there's a nice medium brown in that palette that you could use just above the crease. great idea! You're so gorgeous Emily! Pregnancy is treating you well and I'm so happy for you and Tyler! Really nice! I think I will try those colors together some day! I don't have any BH palettes - perhaps it's time for one. :D green suits you!! Green eyes are my signiture eye look, when I don't know what color to wear. And you look gorgeous with green!!!! I should check out the pallet, the colors are beautiful. I've got to ask - what kind of contacts do you wear? I can't wear much eyeshadow under my eyes or any kind of sparkly/shimmery liner because it gets all over my contacts! 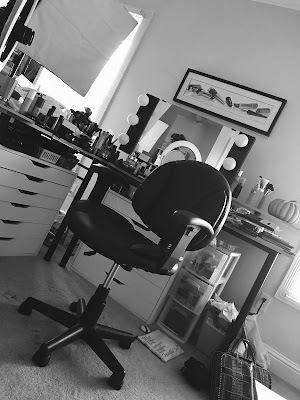 How do you keep your makeup from accumulating on your contacts? Or is this a problem with my eyelids? Just to let you know, as I got progressively pregnant - contacts became near impossible. Not enough moisture in my eyes...they itched, it was crazy. You might find 3 months with glasses to be a vacation. Just saying. 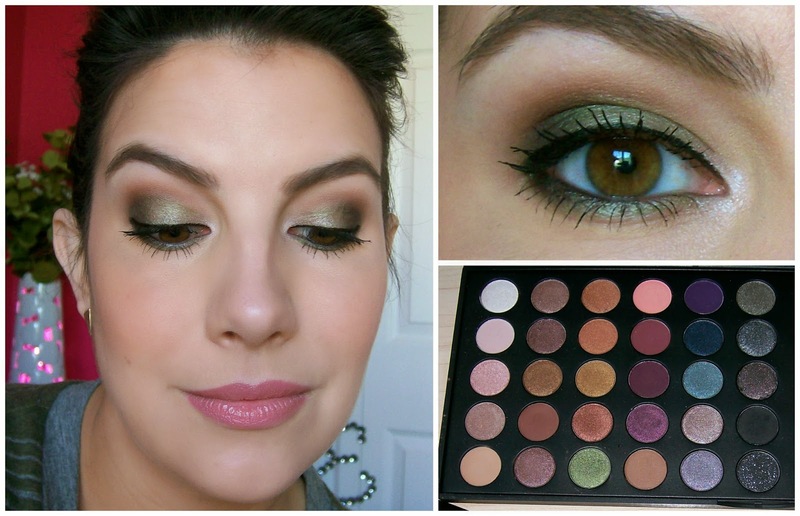 Love this look and this palette looks amazing! Have you checked out the Balsam Hot Pot by Coastal Scents? My all time FAVORITE green shadow. My eyes are similar to yours. Such a gorgeous look for brown eyes! I couldn't resist and tried the same color scheme with a mishmash of brands and it turned out so pretty. Thanks for the inspiration! I was hoping you could do quick reviews/swatches of all the bronzers in this kit for those that have none/find this to be a dream come true [despite the crazy looking price tag]. Your mom is right Emily, take care of yourself! your mom is definitely right ~ take care of yourself!!! the green do look so pretty on you though. I've never tried anything from bh cosmetics, but those eyeshadows look very nice. 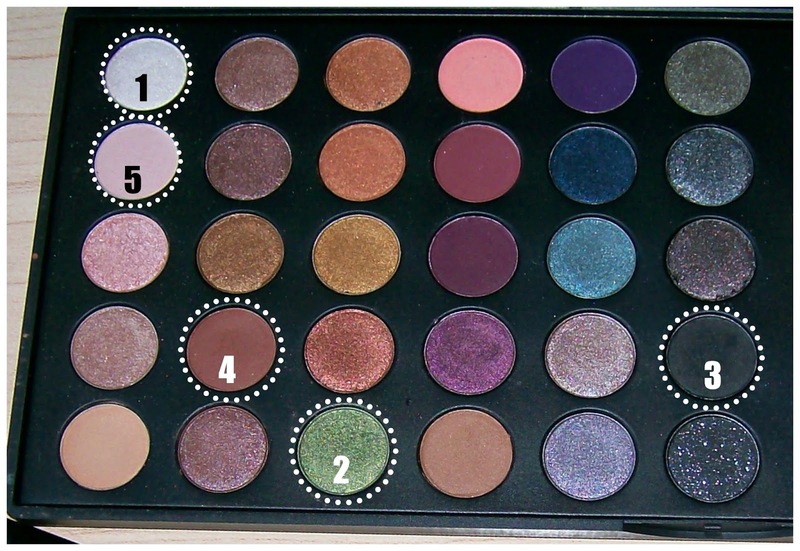 I'm especially fond of the left-hand half of the eyeshadow palette! Thanks for the review! I always love olive eyes! The green colors look so nice with brown eyes! I always refer to your tutorial using the Wet N Wild Comfort Zone palette when I wanna do an olive eye! You will be a great mommy Emily!! Such a pretty and wearable look. I really like the Magna mascara by L'Oreal it's similar to Falsies but better as it gives more volume. Congratulations on your baby. My little monkey turns 1 next month. Enjoy pregnancy it really is a special time.